In 2019, when Milford Memorial Hospital moves to Bayhealth’s new health campus off Route 1, plans are in place to repurpose the old hospital as a new post-acute healthcare campus. Bayhealth officials announced March 7 New Jersey-based Nationwide Healthcare Services plans to purchase the 22-acre property, which has provided healthcare services for Milford-area residents since it was built in 1938. The old hospital site is expected to be used for senior housing, skilled nursing care, assisted living and related health services. Nationwide President and CEO Meir Gelley said, after redesign and renovation, the old Milford hospital will provide different types of post-acute care. Other partners and tenants have not yet been identified, he said. 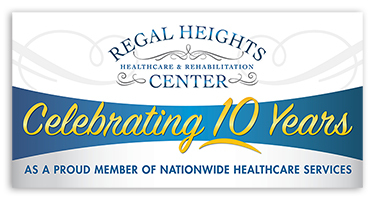 Nationwide, a healthcare management company, also operates Regal Heights Healthcare and Rehabilitation Center in Hockessin and Regency Healthcare and Rehabilitation Center in Wilmington, as well as several facilities in the Philadelphia area, Gelley said. Milford Mayor Bryan Shupe said the health campus on Clarke Avenue will provide short- and long-term care for an aging community and is expected to include up to 150 beds. Bayhealth President and CEO Terry Murphy said community input identified a need for health services for seniors. Dozens of residents provided input through public meetings and other correspondence. Construction on the new 437,000-square-foot Bayhealth hospital campus on a 169-acre parcel off Route 1 at Wilkins and Cedar Creek roads, is well underway. Murphy said construction is expected to be complete by October 2018, with an opening slated for January 2019. For more, go to imaginede.com.